The Cernea family, Luiza, Adi, and their son Alex, talk about colinde, traditional Romanian Christmas carols. Video by FotoStefan (Stefan Iwaskewycz) 2016. Every year on February 24th, the Center for Conservation and Promotion of Traditional Culture sponsors a performance of young soloists in celebration of the pagan mythical character Dragobete, the Guardian of Love. This year, as a gesture of kindness and inclusion, the Center’s ethnomusicologist Mircea Câmpeanu and manager Marinela Zegrean invited me to take part as a Dragobete soloist. It was a generous offer and tremendous opportunity. I not only performed on stage in front of a large audience with the fantastic orchestra Cunana Transilvană, but I also learned more about my own musicality. You can read more about that in my earlier blog post, Sounding Romanian: What’s behind musical accents? The performance took place at the Students’ House of Culture (Casa de Cultura a Studenților) in Cluj. Cununa Transilvană is directed by the incomparable Ovidiu Barteș, and my song, an învârtita from Satu Mare, was orchestrated by Veronica Costantin under his tutelage. I thank AutenticFolclor for video taping the concert. You can watch the concert in its entirety at Folklore Autentic’s YouTube playlist called Dragobete 2016. Sounding Romanian: What’s behind musical accents? Is Romanian folk music a globally accessible art form, much like western classical music? Or does it require a highly specified cultural indoctrination that is ultimately inaccessible to non-Romanians? In February I accepted an invitation to perform with Cununa Transilvană, Cluj’s elite muzică populară orchestra directed by Ovidiu Barteș. I selected an învârtita, a couples turning dance from Satu Mare, mostly because I like the feel and sound of the învârtita’s asymmetrical aksak rhythm of ‘long, short, short,’ and think of it as a prototypical Romanian dance. A few days after the concert, my friend – I will call him Vasi – mentioned casually that it wasn’t the right selection for me to perform. I should have selected something with a binary accompaniment rhythm, he said, something with an even feel since, as a non-Romanian, I couldn’t feel the învârtita rhythm right. My ego was a bit hurt by the comment, and I’ll never know if his judgement was clouded by my being a non-Romanian, but I also knew that there was something honest in his critique of what he had heard in my performance. I had noticed it, too. At home I had no recording of the song to refer to, so I carefully rehearsed the notes transcribed by Ovidiu Barteș himself. I trained my body to play the pitches, ornaments, and rhythmic cells as they appeared on paper to the best of my ability. Yet in rehearsal, the melody as I played it didn’t match exactly how the orchestra played it. My interpretation included gestures that changed the feel of the musical phrases from the orchestra’s interpretation. The orchestra plays the sixteenth notes like a well-oiled machine. They play each note with equal bow length and speed, and with no audible difference in articulation between down and up bow strokes. I, on the other hand, gather short groups of notes like these as a gestural motion rather than articulating individual notes. 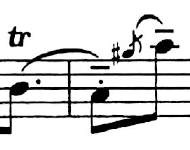 The danger in doing so is potentially “swallowing” up one or two notes, making it more difficult to hear all four pitches equally well. Another possible danger is rushing through the note sequence. When executed well, however, the advantage is creating a sense of movement, a sense of singing, a sense of swinging forward. Again, whereas the orchestra reads the eighth notes as metronomically equal rhythms, my interpretation is to swing the rhythm, lengthening and leaning more heavily on the top A. I don’t know where I got the idea to play this spot with such articulation, but my sound and feel was exactly the way the melody made sense to me as I practiced it on my own, before attending rehearsal. Mind you, these are small details, but the results are huge. The first time we ran through the piece together, our collaboration sounded quite different from what I had imagined and practiced striving for in my independent practice. Equally important, I felt the difference; I had to adjust my body movements to fit with the orchestra. How much artistic control do I really have? Should I attribute these different interpretations to cultural differences, or am I simply expressing myself as an agentive, individual musician? Musically speaking, I prefer the accents the way I had realized them in this particular performance, but it’s at the cost of being labeled a cultural outsider who’s not really sounding right to Romanians. And I have noticed musical inflection differences in some of my past performances of Bulgarian folk music, too. They are obvious things that I can point to, like melodic ornaments, that make me sound differently from my musical sources. What’s more, some of my accents are subconscious bodily gestures that I only notice after the fact. Here is an example. My friend and mentor Donald LaCourse, director of Ethnic Dance Theatre in Minneapolis, came across a somewhat recent performance by a Romanian dance group on YouTube. He noticed that at one point they used a recording of a Bulgarian kopanitsa that was quite familiar to him. The recording was of my Balkan band, Orkestar Bez Ime, also from Minneapolis. How do I know that it was our recording? I can hear one short slide that I played on my violin at the beginning of the tune that is, stylistically speaking, inappropriate for Bulgarian music. Again, it’s the tiniest detail, but one that’s a glaring non-Bulgarian accent. OBI’s recording starts at 22:45. You can hear my short violin slide at 22:55. The fact that I had used these slides inappropriately and without cognizance cannot be explained in a meaningful way by using abstract terms like ‘culture’ and ‘artistic agency.’ Instead, I need to look at the processes at work in creating musical accents. Two processes notoriously difficult to talk about are proprioception, the internal sense of our own body in movement, and tacit knowing, how we know things that we can’t explicitly explain, like how to ride a bicycle. Looking closely at processes might help me to understand what makes or informs my musical accents. My formal training in music was in western classical music. In this tradition, every aspect of the relationship between the body and the violin is scrutinized, explained, and corrected until it matches the teacher’s expectation. As one example, I learned to play individual melodic notes and then add vibrato (always) or trills or other ornaments (as indicated by written notes on a page) to add excitement. Every aspect of my music making was under the control of some authority, and my success as a musician was measured by my ability to meet the expectations of those authorities. Learning how to play folk music from places far away from where you grew up or have lived is tricky business. When I began learning how to play folk music from Eastern Europe (very generally speaking), I conceptualized it as something specifically not western-classical. Because I didn’t understand how these various tone colors, ornaments, and extended techniques were produced by Bulgarian, Romanian, and Hungarian violinists, I changed the way I approached the violin. I made my left wrist less rigid, often bending it inward in a symbolically anti-classical fashion. This changed my physical orientation to the fingerboard. My classically trained vibrato began disappearing due to non-use, and was eventually replaced by a half-vibrato-half-trill ornament that is used in some Trio Transilvan folk music, not unlike a baroque trill. For the first few years, I devised these changes on my own. Living in Minnesota, I found no instructions or role models to explicitly show or tell me how to make my violin sound like a Bulgarian gadulka or like a Romanian lăutari. In terms of Eastern European folk music, I had been developing my musical proprioceptive pathways in a cultural vacuum. Aside from listening to recordings I could find, I had to wing it. In terms of approximating those various folk music styles, the results, quite frankly, were hit or miss. After fifteen years, I am still trying to figure out the perfect mix of a strict ‘classical’ approach and experiential ‘anti-classical’ approach needed to achieve the results I want. Ultimately, my musical point of reference is still western-classical. A big part of the problem is that I had lumped all types of Romanian (and separately Bulgarian) folk music together as one general style: non-western-classical. But as I learned later and explained in my post What is Romanian Folk Music?, there are many styles of Romanian folk music. (For sure it’s the same with Bulgarian folk music as well.) And part of what creates those different styles within the larger genre of Romanian folk music are the different approaches to the same instrument, like the violin. Since arriving in Cluj last October, I have learned that many, if not all, Romanian muzică populară musicians were classically trained. My friend, who I mentioned earlier, used Carl Flesch scale books and studied Ševčik, Dont, and Kreutzer etudes, just like I did. He and I both understand the violin and making music through a western classical mindset. But he also grew up in Romania, with parents who were folk dancers and singers during Ceaușescu’s communist regime. I can’t possibly imagine the impact that particular setting might have had in terms of his proprioceptive and tacit musical understanding. I do know that, unlike me, he never went through a period of trying to change his playing style. He already had a strong opinion of what Romanian folk music was all about and that he specifically wanted to play muzică populară, not muzică tradițională, which is the folk music of non-classically trained villagers. In fact, he believes that it is impossible for any classically trained musician to play muzică tradițională, so there is no point in even trying to approach the violin the way they do. Being a foreigner, a cultural outsider, such a limitation was something that I never considered. I assumed that I could play various types of Romanian folk music, using different approaches to the violin, if I worked on it diligently and in enough detail. My friend brushes off different approaches to the violin as a simple matter of educational differences: classical musicians know too much to play in less-refined ways, and muzică tradițională musicians don’t know enough to play high art music. But I believe that different approaches to the violin are not just a symbolic line between ‘us’ and ‘them’; I think they offer a deeper understanding of musical processes and musical identity. A violinist’s approach to their instrument and repertoire simultaneously creates and reflects, in a very tangible and physical way, their internalized musical understanding. The various pedagogical processes that train different bodies and musical minds in profound ways still needs to be explored. It is at the proprioceptive level and in tacit knowing that enculturation really matters. This, I believe, is why might I sound close, but not exactly, Romanian when I play an învârtita. In December I published a piece called What is Romanian Folk Music? In it I described the difficulties of talking about Romanian folk music due to nonexistent or non-standardized labels among Romanian musicians and folklore scholars. I then generated a list of Romanian folk music subgenera in order to gain some clarity. Labels help us point to a thing so that we can categorize that thing, stick it in a list, column, file, or box. We label MP3, LP, cassette, and 8-track recordings of songs in order to sell a product, or to organize our iTunes collection. But while a recording of folk music is an object, folk music itself is not. Folk music is something that humans do; it is a process, an activity. Folk musicians (I think, perhaps, all musicians) are rarely so rigid that they conform their entire life’s musical activities to align with labels. In this blog post, I challenge the usefulness of labeling folk music. Although there are many musical activities ‘betwixt and between’ the subgenera of Romanian folk music, I decided to focus on just two common frustrations for purists: the use of electric instruments and traveling repertoire. I stand by this definition of Muzică etno. But the truth is that I have heard a lot of Muzică tradițională that also uses electric instruments. The practice of using electric instruments in muzică tradițională is dismissed by folkloric scholars as being inauthentic and not worthy of study or discussion. Compare this mentality to the summer of 1965, when Bob Dylan was called a traitor by some American folk music purists for using electric instruments at the Newport Folk Festival. Whatever Dylan’s intent (or lack of), the performance challenged the audience’s preconceived notions of what folk music is, and by extension, how he should produce his work. The same puritan mentality exists today in Romania concerning muzică tradițională. The argument often includes that ambiguous and dangerous word: authenticity. Say ‘authentic’ to any serious ethnomusicologist, and you will get an earful about using that word. The word applied to folk music is meant to point to a music’s pure origins. But what exactly does ‘pure origin’ mean? Where is origin located? If it is located within a singular person, like Bob Dylan, then all of his music making is authentic, no matter what instruments he uses. I spent last New Year’s celebration with my boyfriend at the excellent Maramureș Resort in Budești. As their website advertised, they threw evening parties, complete with live music. Even though the musicians played traditional Maramureș folk songs on electric violin and keyboard, no one seemed to mind. Regardless of the beat generated by the keyboard, Musică etno is simply not the correct label for this music. The only way to label it is muzică tradițională din Maramureș. This is violinist Marian Berinde. People in this region proudly practice their traditional way of life. Check out photographer/videographer Vasile Oanea’s Facebook Page to see more. Perhaps ‘pure origin’ is a geographic location? According to folklore purists, the real Romanian tradițională musicians are the ones that not only play on acoustic instruments, but those who know and play melodies from their home village, or at the very least, music of their home region. It sounds simple and clear-cut. But melodies are constantly in circulation, being picked up and passed around as musicians watch youtube, listen to recordings, and travel for festivals, weddings, baptisms, funerals, and parties. It’s extremely difficult to keep track of those melodies as they sneak their way into village repertoire. And this circulation has been happening . . . well, probably always. So at what point in history do we start calling a tune ‘original’ to that village? Happy Birthday didn’t travel directly from America to Palatcă. Florin learned the melody from the Transylvanian-Hungarian band Heveder, from Sfântu Gheorghe, Romania, when they worked together at a music and dance camp in Michigan. Allow me to return to that amazing Maramureș vacation. The next night after the New Year’s party, another group of traditional musicians came over to the resort to play at the campfire. When we took the party inside to get warm, we hung out at a table and passed the violin back and forth, sharing tunes. At one point, the band played a țiganește – a Roma (gypsy) tune. The people in Maramureș, especially in Breb and Budești, are proud of their traditions. I expected their muzică traditională band, which consists of cetera (violin), zongora (guitar), and toba cu cinel (drum with cymbal), to play Maramureș-specific melodies. They did, but they also knew how to play the same pan-Transylvanian Roma melody as a táncház band from Hungary. This is ceterași Vlasin Gheorghe. There are still some people, including some folklore scholars in Romania, who still believe that there is (or was) a purely original repertoire authentic to the region of Oaș in northwestern Romania. In these conversations they always bring up isolation: the days before radio, the remote villages nestled in the mountains with impassable roads, the people cut off from all outside communication for hundreds of years. And, while complete isolation throughout all of history is impossible (the folk music of Oaș is played on western classical violins and guitars), there might be something to the relative isolation (those instruments are modified in the craziest ways invented by the Oașean). The musizică tradițională din Oaș is nothing like I have heard anywhere else. In 2010, my boyfriend and I were traveling through the region of Satu Mare into Oaș. We decided to stay overnight at a spa just outside of a village called Negrești. As we were getting our luggage out of the car, I heard music floating up through the trees. ‘Do you want to go check it out?’ I asked, assuming that it was recorded music coming from a restaurant or pub stereo. We immediately got back into the car and followed the sounds of the music wafting in through our open car windows. We pulled over near a dark clump of trees and found a group of guys celebrating a birthday in a park shelter. Among them was Gheorghe Metei, an amazing Oașean cetera (violin) player, playing muzică tradițională from Negrești. After my unfortunate attempt of the piece, Gherghe Metei took the violin and played the entire song. . . in Oaș style. Here is the Ciocârlia performed by Gherghe Metei from Negrești, Oaș. All artistic creations are the result of surrounding influences. ‘Authentic,’ it turns out, is really a political word intended to make everyone scramble after an ideal type, an abstraction, which is another way to say that it doesn’t actually exist in one particular person, place, time, or form. Perhaps worse, the word suggests the opposite is also possible: that there is an inauthentic way of playing folk music, which contradicts the concept of folk music in the first place. After casting aside the hoax of authenticity, I began to realize that there is no reason electronic instruments cannot be used in folk music, or that the melody to Happy Birthday cannot eventually become a batuta melody from Palatcă. These things can and do happen, often. It just makes labeling a little more complicated. Last November, I received a call for an interview from Charlie McCarron, composer and creator of the podcast Composer Quest. The hour-long episode was posted on December 23, 2015. Charlie found my music making and field work in Romania interesting, partly because he is planning a new direction for his own work in music: Charlie wants to tour the world and write about the music that he encounters. Judging by my experience, Charlie seems well suited for the job. He is relaxed, easy to talk to, curious, asks great questions, and knows a lot about music. In my interview, Episode 138, we talk about my bands Orkestar Bez Ime and Szászka, the composition process, odd time signatures, conducting field work, my experience (so far) in Romania, what it takes to be an ethnomusicologist, my goals for Stringmuse, and more. A friend once asked me to help her find some “authentic Romanian folk music” to sing. Of course I wanted to help, but I needed more specific information. What style of Romanian folk music was she looking for? From which region of Romania was she interested in? She didn’t know. So the next day, she sent me an mp3 of a Romanian song that she liked, a lullaby. But, she said, she wanted something . . . different. I had no idea how to help her. Our lack of a shared Romanian music vocabulary made the project difficult. I arrived in Cluj last October and almost immediately began working with Romanian folk musicians. Since then I’ve been surprised over and over by the confusion here over Romanian folk music labels. While I knew that Romanian folk music encompasses a very broad range of musical styles, I didn’t know just how ill-defined Romanian folk music is, even in Romania. Even professional Romanian folk musicians living in Cluj don’t entirely agree on what to call Transylvanian string band music from the village: Trio Transilvan? Lăutărească din Ardeal? It seems that no matter who you are talking to, Romanian folk music is surprisingly difficult to talk about. First, there are many subgenera within Romanian folk music, like muzică populară, muzică tradițională, and lăutărească. There is also cross-over music, like etno and cafe-concert, that is heavily influenced by Romanian folk music. Then there are regional differences in those musical styles. Muzică populară from Transylvania, for example, sounds different from that from Oltenia, Muntenia, and Moldova. These regional styles are broken down even further, and more accurately, into smaller subregions, like Transylvania’s Maramureș, Satu Mare, Salaj, Bistrița, Alba, or Mureș areas. Some ethnographic regions, like Banat in the southwest, have recognizable folk traditions that extend beyond Romania’s political borders, into Serbia and Hungary. Perhaps one of the most confusing facts is that some songs or dance tunes are found in multiple regions, but they might go by different names. For example, the same song that would be labeled romansește in the region of Salaj would be called învârtita in the region of Codru. Finally, even the word ‘Romanian’ presents a problem when talking about folk music: does it signify an ethnic group, nationality, or citizenship within Romania’s borders? While confusion over labels certainly doesn’t stop anyone from making all sorts of great music, it does pose a real problem when you want to have a conversation about it. In order to clarify things in my mind, I made a short reference list, with examples, of some of the most common types of Romanian folk music played today, focusing on the broadest subgenera categories. Muzică populară is an urban folk music, supposedly derived from rural traditional songs, cultivated for staged performances. The texts are usually romantic, but an overtly nationalistic character emerged in muzică populară during the Communist era when lyrics often expressed Romanian patriotism. The ideal instrumental ensemble is precise and uniform. The musicians are often conservatory trained and use classical instrumental techniques. Typical musical characteristics include a walking bass line, accordion, țambal, guitar, and/or viola accompaniment, and melodic instruments such as violin, saxophone, clarinet, and targot, playing in unison. Vocalists, both men and women, sing in Romanian and use a wide vibrato. To learn more about this genre, the site Muzica-populara.com is helpful. They categorize Romanian folk music by starting with muzică populară as the main heading, and divide it by regions and styles or musical function. The site text, which at times is overtly nationalistic, is in Romanian, so you might want to keep google translate open in a separate window. The site has many excellent and helpful examples of muzică populară, however, I disagree with their choice to include musicians playing folkloric instruments like the bucium (alphorn) as examples of this genre. Muzică Lăutărească is the music of the lăutari, a professional class of Roma musicians living in the regions of Muntania, Oltenia, Dobrogea and Moldavia — however, Romanian, Jewish, and Turkish musicians in these regions have also been known as lăutari. As early as the mid-16th century, lăutari played in the courts for princes and boyars, as well as in monasteries. After being emancipated from slavery in the 19th century, they settled in rural villages to make a living by playing for weddings, baptisms, funerals, and other ceremonies for the peasant population. Lăutărească music has many different styles, and varies from region to region. Common characteristics include virtuosity, complex harmonies, abundant ornamentation, and the ability to re-interpret the melody in new ways. Muzică tradițională, also called folclorică, is the music passed on from generation to generation, played by non-professional, rural residents. In theory, the tradition is still carried on today by amateur musicians who play for personal enjoyment in private, or in front of friends and family. In reality, many of these musicians perform on stage, too, at folkloric festivals. Some have even made recordings of the music that they composed. Typically, folclorică musicians are either self-taught or learned from an older relative or mentor. Because it is an oral tradition, it is not necessary for folcloric musicians to know how to read musical notes on a page. Muzică tradițională is a huge category that encompasses many sounds, instruments, and musical styles from many regions. Trio Transilvan is the traditional string band music played in Transylvania. The name Trio Transilvan comes from the core of the ensemble: 3-string contrabass, 3-string braci (modified viola), and violin. These ensembles often expand to include a second violin player, and sometimes a second braci player and/or accordionist. Another name for these groups is Transilvan lăutari or lăutari din Ardeal (Ardeal is the Romanian word for Transylvania). However, some knowledgable Romanian folclor musicians and scholars, like Ovidiu Barteș for example, say that it is not correct to call Transylvanian musicians lăutari. Táncház Népzene, a Hungarian name meaning dance-house folk music, is a Hungarian-specific phenomenon. The táncház genre began in Budapest, Hungary, in the late 1960s to early 1970s, and has evolved since. The táncház genre especially champions ensembles of the Trio Transilvan formation, whether they are made up of conservatory-trained musicians from Hungary or Romania, or carefully selected apprentice-trained village musicians from greater Hungary, Transylvania, and Moldova. Whereas the Trio Transilvan bands specialize in music from a particular village or region, táncház musicians are required to learn a large repertoire from multiple regions throughout Romania and Hungary so that they can offer dancers a great variety at parties. The táncház genre’s focus is on participation, but staged music and dance performance also plays a major role in the genre. The táncház scene has an ultimate goal of Hungarian community preservation and building. And Some Outliers . . . These subgenera might fit better into other categories like pop or light classical. But due to folk music’s obvious influence, these two subgenera especially deserve to be mentioned. Not all cafe-concert music is folk influenced, but the light-classical show pieces such as Hora Staccato, Hora Martișorului, Ceasornicul (The Clock), and Ciocarlia (The Lark), which were all inspired by muzică lăutărească, would fall under this category. Cafe-concert music was at one time in great demand in restaurants and cafes in Bucharest. The genre encompasses light classical, Viennese ball, folk, jazz, and pop forms. Many muzică populară musicians and lăutari are also cafe-concert musicians. ‘Hungarians can’t play aksak!’ Can rhythms in music have ethnicity? In my quest for understanding the folk musics of Transylvania, I learned quickly that there is an ongoing separation of Romanian music and Hungarian music. While everyone seems to agree that much of the music from the area around Cluj is so mixed that one cannot unravel the influences and divide them into a neat and tidy binary, Hungarian and Romanian folk music scholars and aficionados still claim that certain musical characteristics belong to one ethnic group or the other. Our violin folklore professor at the Gheorghe Dima Music Academy, Ovidiu Barteș, explained that the first four variations are natural Romanian rhythms, but an învârtita melody played with this last variation is incorrect in Romanian folklore, due to its Hungarian element. 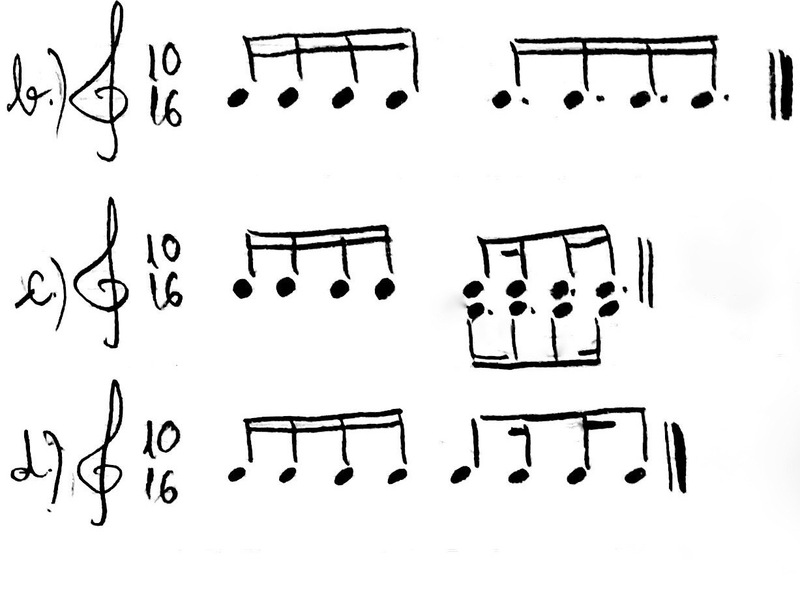 In various conversations in class and rehearsals, students discussed why Hungarians play învârtita rhythms differently. As one student put it, ‘Hungarians can’t play aksak!,’ explaining further that Hungarians simply can’t feel aksak rhythms correctly. The opposite, but similar claim that I have heard repeatedly is that Romanians would never play the Hungarian-labeled ‘long, short, short, long’ rhythmic cell when performing folk music. These claims echo the results of Béla Bartók’s work in Hungary and Romania in the first half of the 1900s. After he collected songs from peasants living in the countryside, Bartók categorized them. For songs with text, he based his categorization system on language. For example, for Romanian colinde (Christmas carols) he based the first categorical division on the number of syllables sung in a musical phrase. Because the Hungarian and Romanian languages sound so different from one another, Hungarian being from the Finno-Ugric language family and Romanian from the Romance family, it stands to reason that the melodies of their text-based songs would sound quite different as well. A much simplified diagram of Bartók’s classification system. 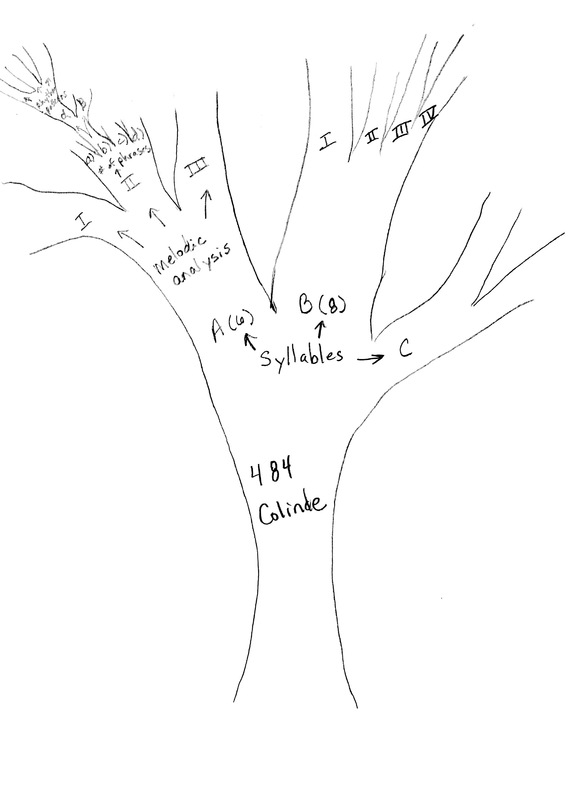 In the above diagram one can see, as you trace your eyes from the tree trunk up through the branches, that Bartók starts his categorization process by analyzing the sound of language and then divides those results based on the sound of the melody. But instead of revealing the mechanisms of culture at work, his equation of language and music imprints a cultural meaning on the music that may or may not be true. Isn’t it possible for a particular melody of a song in one language be adapted to a different language? It is here, where the function of language and musical sounds criss-cross and are mapped onto one another, that notions of musical ethnicity seem to emerge. Bartók used peasant songs with text as the basis of his entire work, and as proof of pure musical activity of distinct ethnic groups. But what about instrumental music without words? For this genre, Bartók based his categories on the function and structure of the melodies. While it’s beyond my scope in this blog to dig into musical theory, it suffices to say that he created an increasingly detailed system of classes, subclasses, and groups based on his analysis of melodic phrases, strikingly similar to his classification system of songs with text. So much attention in Romanian folklore scholarship is hung on these branches of Bartók’s work. 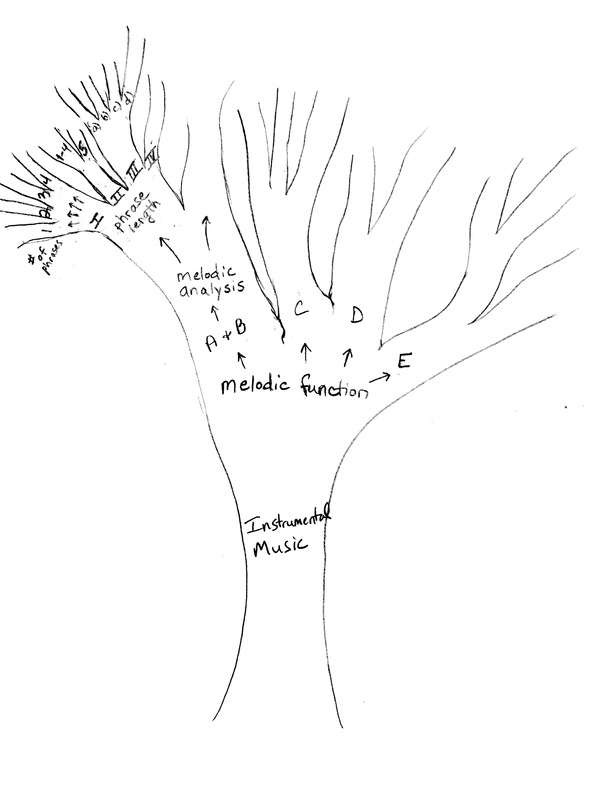 Because it deals with musical theory, it has the air of science. At the same time, the tree diagram, which I copied from folklore class, symbolizes rootedness, the pastoral, the natural character of folk music. 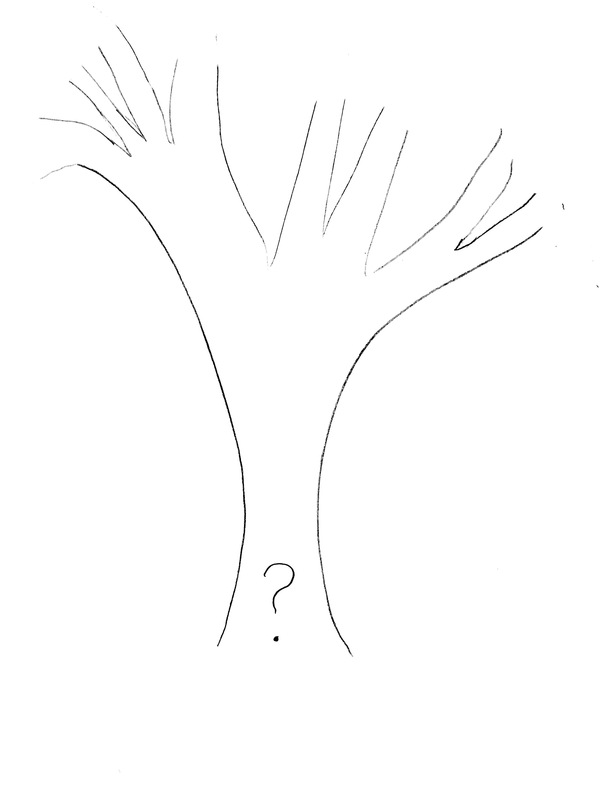 But perhaps the most important fact of Bartók’s work is not addressed in these diagrams: what makes up the roots of the tree? Who, exactly, were the peasants who provided him with these melodies? “The subject being folk music, I made my collections exclusively from the peasants and from people who either were an essential part of village community life or else fitted musically into this life by functions which gave them importance in it (gypsy violin players). Gypsies living in villages are completely assimilated musically according to the type of people among which they live; therefore, there is no reason to exclude them. There are, anyway, but a few melodies sung with text by them. As to instrumental music, we are definitely depending on gypsies in certain areas where only gypsies are “professional” musicians” (4). So here is the second, and most obvious, problem with Bartók’s one hundred-year-old ethnic labels of Transylvanian folk music: you have to ignore the ethnic identities of his musical informants. Folk music is created, time and again, in the performances of each musician. When taking folk musicians into account, ethnic labeling of Transylvanian music is no longer cut and dry. In fact, the first two clips I shared above, one a Hungarian csárdás and one a Romanian învârtita, were performances by the same man, Alexandru Țitruș, who is considered one of the greatest self-taught, Romanian folk violinists from Transylvania. In terms of understanding Transylvanian folk music, Bartók’s intuition for using the best musicians in the area is much more credible than his grouping of collected music based on ethnic labels. Bartók described his informants as village Gypsies (today, it’s best to use the word Roma). It’s telling that instead of identifying them as Romanian or Hungarian Roma, he identified them as professional musicians. It seems that in the absence of their ethnic credibility, professionalism raised the Roma musician’s social standing to an acceptable level for representing Hungarian and Romanian ethnic groups. In light of all of this, it seems that jockeying for ethnic labels in Transylvanian music is a moot point. I had heard stories about Kommandói Cigányifolklór Tábor, the Roma folklore camp held annually in Comandău, Romania. Folk music and dance friends told me about the extraordinary string musicians, the nightly campfire parties, and the camp’s make-shift market that sells colorful Romani skirts. This past July, I was staying nearby in Brașov, so I decided to experience the camp for myself. Comandău is a Carpathian mountain town. The camp organizers hired a coach bus to bring us, about twenty-five dancers and musicians, from Sfântu Gheorghe to the foot of the Vrancea Mountains. Their plan was to transfer us to an uncovered dump truck that was more suitable for the winding mountain road climb. But while we were approaching the mountain range, a storm was barreling its way over the rugged peaks, heading in our direction. So we waited, inside the parked bus, as it rained on and off for more than three hours. Lucky for us, some of the camp’s hired musicians were also on the bus: Alexandru Sányika Mezei (violin), his brother Alin Mezei (3-string kontra), and their cousin Kalin Mezei. Their fathers are well-known musicians from Ceuaș, aka Ceuașo (in Romani) or Szászcsávás (in Hungarian), so these guys call themselves the young Szászcsávási band. After a hauntingly beautiful ride through the mountains and trees in the misty night, we arrived at camp. Early the next morning, I learned that music lessons are not a part of the camp’s program, so I was free to create my daily schedule. Wanting to learn how to play as much of their music as possible, I played along with the young Szászcsávási band during the dance classes, and hung out with them and their instruments during breaks. Where should my attention be directed? On the notes? Technique? Rhythm? Bodily energy? Dancers? . . . Notes are important, but not to the exclusion of playing . . .
To learn all the correct notes, but not be all-consumed with learning each note, is not paradoxical. There is something about the energy of the Szászcsávási band’s playing that demands a different way of understanding and approaching music. To play with them, you have to jump on board and go. Kommandói Cigányifolklór Tábor is organized by Háromszék Táncegyüttes, a Hungarian dance group from nearby Sepsisyentgörgy (Sf. Gheorghe), Romania. You can find more information about them here and their archives of the camp here.